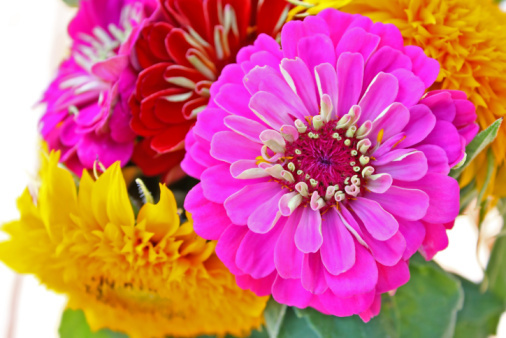 Have you ever wondered what meanings are associated with your favourite flowers? 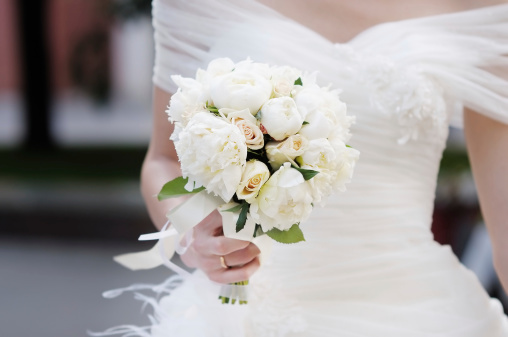 If you are intent on selecting blooms for your big day that not only look nice but also have a sentiment relevant to you, then here is a guide to help you navigate wedding flowers and their meanings. 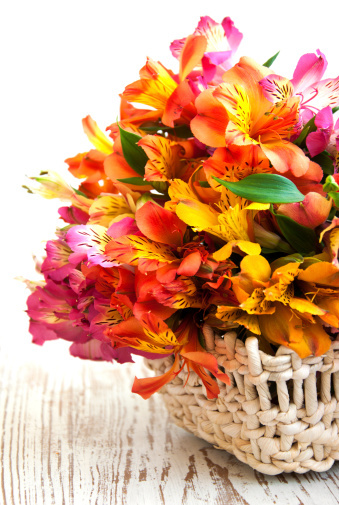 The Alstromeria is a South American flower which is often referred to as the Lily of the Incas, and it can be found in a variety of colours including apricot, golden yellow and lavender. Alstromerias symbolise friendship, represented by the leaves that twist and turn like the highs and lows of a relationship. The leaves also grow upside down, but we’ll leave that open to your interpretation. Colours range from crimson red to purple and golden hues. The name is derived from the Greek word for ‘unfading’, which is symbolic of immortality and unfading love. They can also be given as garlands or crowns as a good luck gesture – one for the bridesmaids’ bouquets, perhaps? 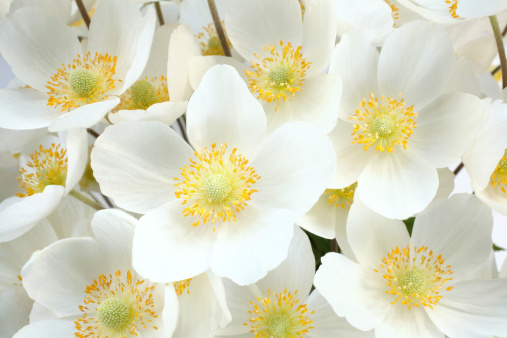 Anemones can be found in the wild throughout many European countries, as well as North America and Japan. For the glass half empty types, anemones symbolise fading hope and a sense of feeling forsaken. For the glass half full brides, they represent anticipation – of the healthy, happy and loving marriage you have ahead! 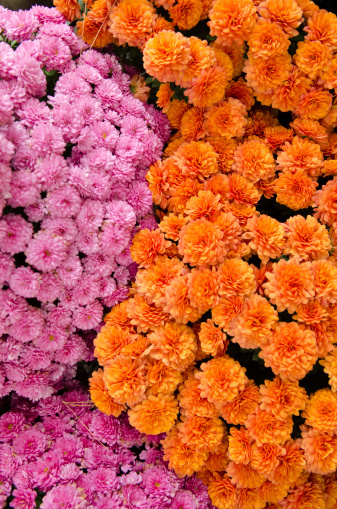 A versatile bloom, the Chrysanthemum can be found in a wide variety of shapes, colours and sizes. Yellow is the more traditional option and it represents slighted love, white used to convey loyalty and truth, and red represents love. Hailing from central and north Europe, daisies are early risers, opening at dawn to greet a new day and a new beginning. They represent purity and innocence, and double as a snack if you get peckish during the ceremony – apparently their edible leaves taste great in salads! The word Iris means rainbow and this type of flower symbolises eloquence. 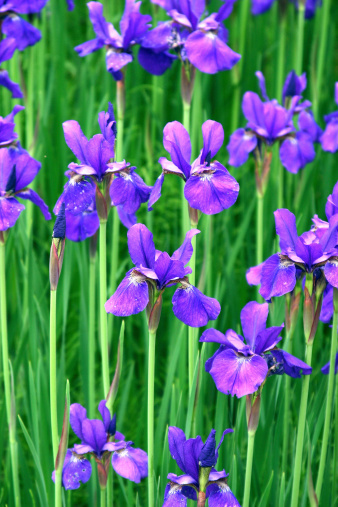 Irises can be picked in red, brown, yellow, pink, orange, white, purple and reportedly black. They’re resilient blooms, known to grow in swamps, deserts, cold climates and temperate regions. For more specific meanings, try purple for compliments and wisdom, yellow for passion, blue for faith and hope, and white for purity. 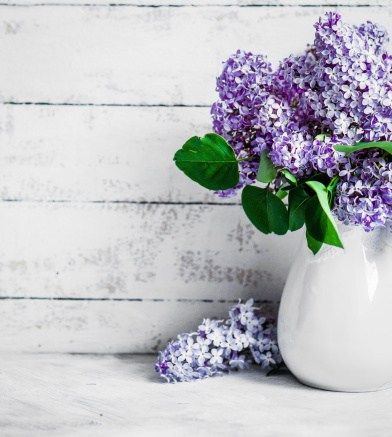 There are more than 1000 varieties of lilacs, however they only bloom for a couple of weeks in Spring – lilac lovers, claim your dates! They convey youthful innocence and confidence, with white lilacs representing innocence and humanity, and the popular purple symbolising first love – apt for high school sweethearts! 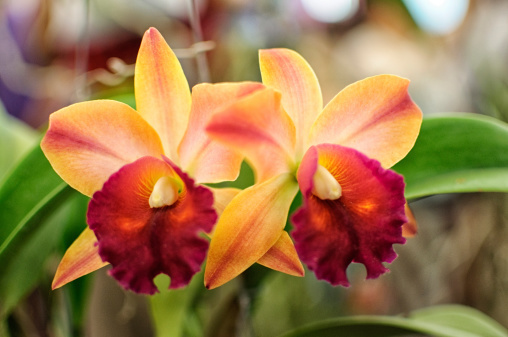 There are over 30,000 orchid species. Collectively symbolic of exotic beauty, mature charm, refinement, pride, femininity and thoughtfulness, they embody a range of admirable qualities. Available in striking white, they are also found in crimson, pink and yellow varieties. They are linked to compassion and bashfulness, but also believed to represent shame. In a wedding context, they symbolise romance and prosperity and are considered an omen of good fortune and happy marriage. Where there are no words, there are roses. 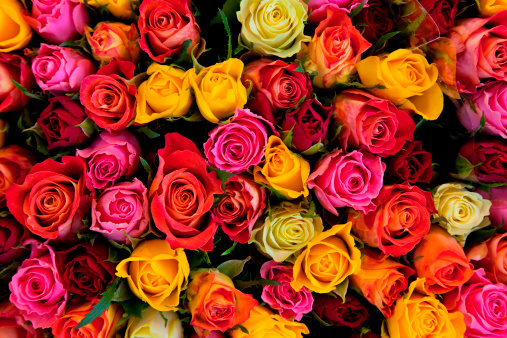 Love, passion and confidentiality are traditionally symbolised by red roses, with other colours holding individual meanings; white for humility and innocence, orange for desire and enthusiasm, pink for gratitude, admiration and appreciation, yellow for joy and friendship, and purple for love at first sight. 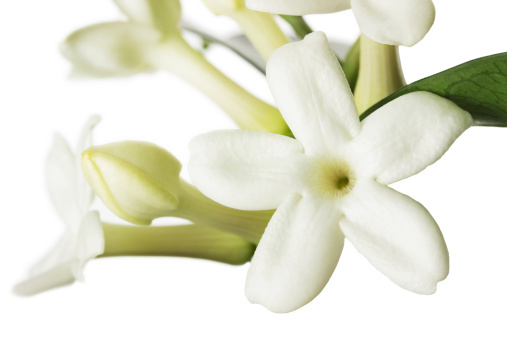 A strong, pleasantly smelling bloom with five distinct petals. 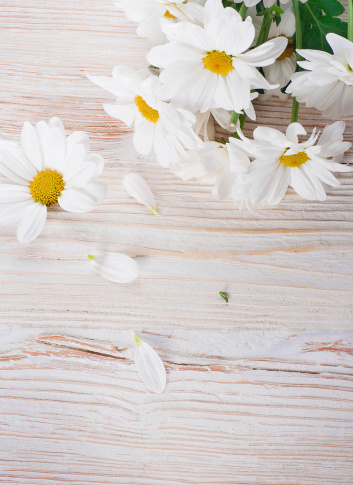 These naturally white flowered plants can grow up to 10-feet-tall and in the language of flowers symbolise marital bliss. Tulips are the ultimate declaration of ‘perfect love’, with each colour variation carrying its own meaning; red tulips for true love, yellow for happy thoughts and sunshine, and purple for loyalty. Why not have a multi-coloured bouquet of tulips and cover all bases? 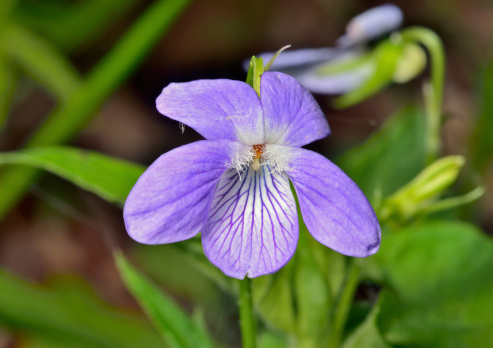 Traditional purple for royalty, power and confidence, blue for watchfulness, faithfulness and spirituality, and white for purity and innocence – which according to some flower guides can also mean risk – take from it what you will. 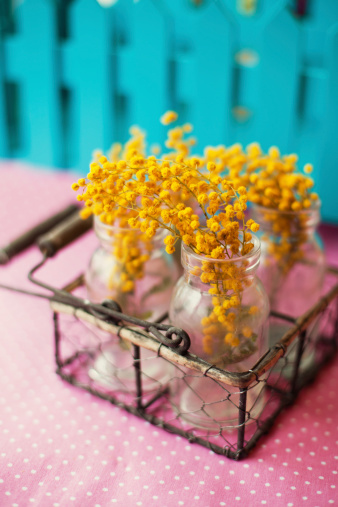 The wattle is Australia’s national floral emblem, and the flower is a symbol of unity. Resilient in nature, the wattle is suited for withstanding Australia’s droughts, bushfires and windy conditions, representative of the spirit of Australian people and an enduring, prosperous marriage. 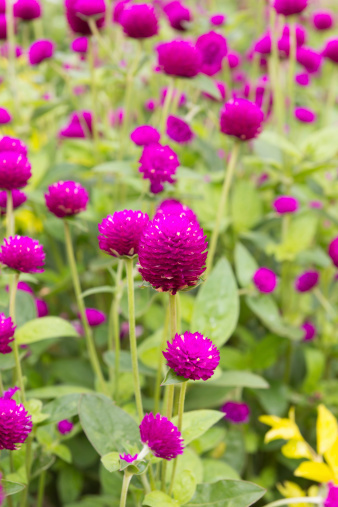 For lasting affection choose the magenta variety and for recognising absent friends try a mixture. For constancy select scarlet, and for daily remembrance try yellow. Of course, if goodness is high on your list of marital priorities, traditional white will do the job nicely.